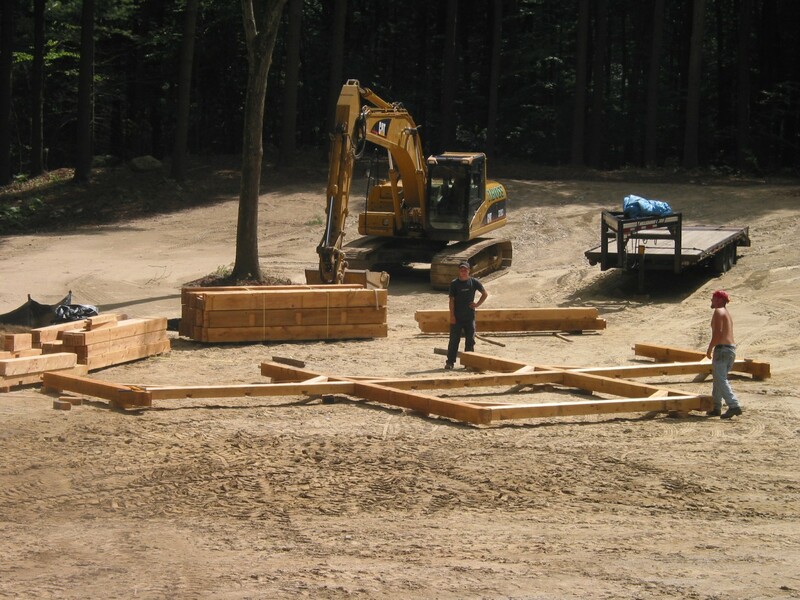 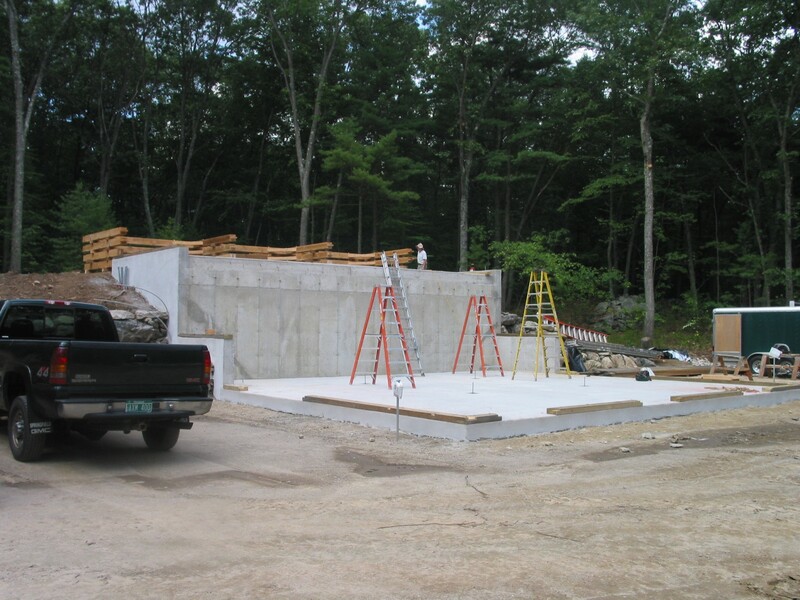 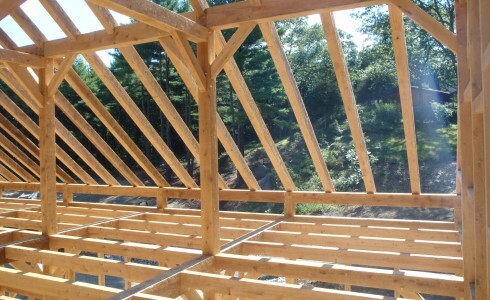 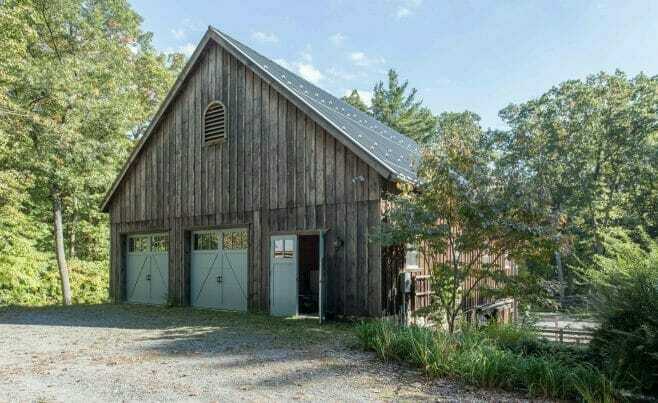 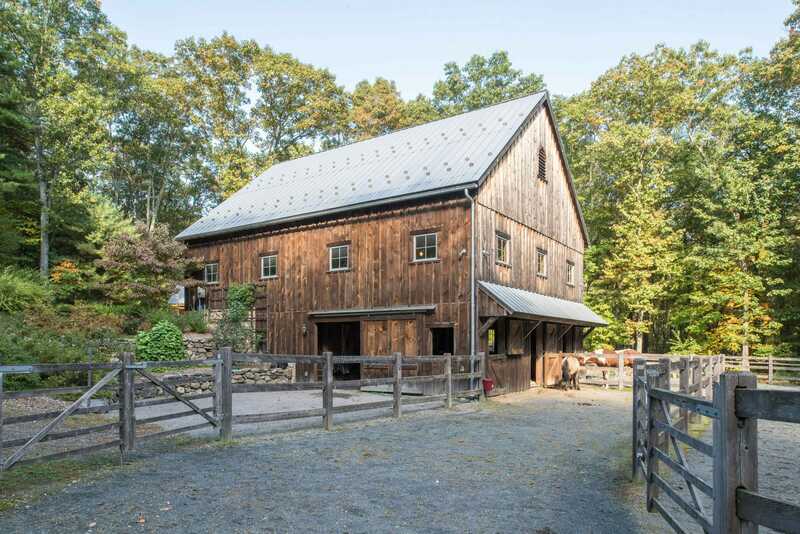 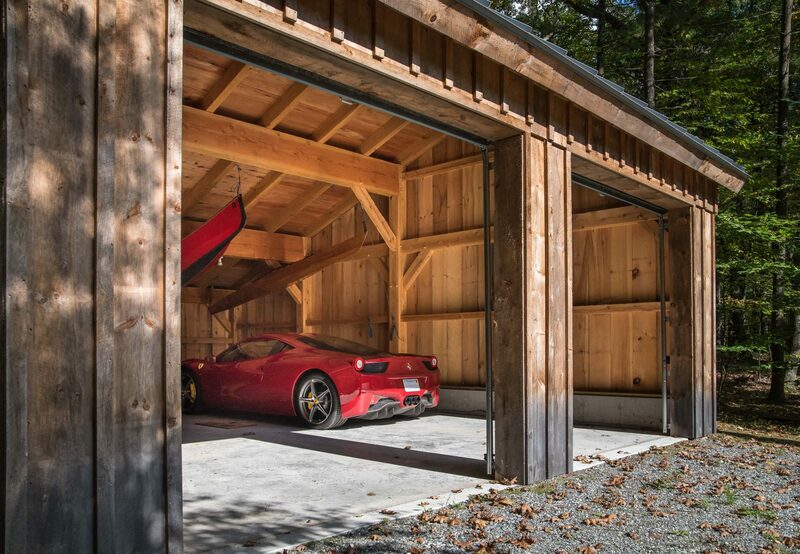 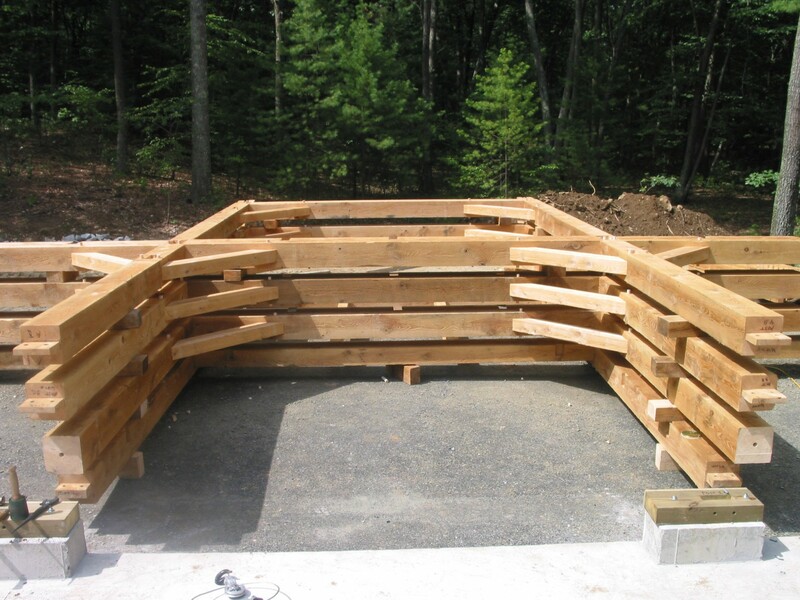 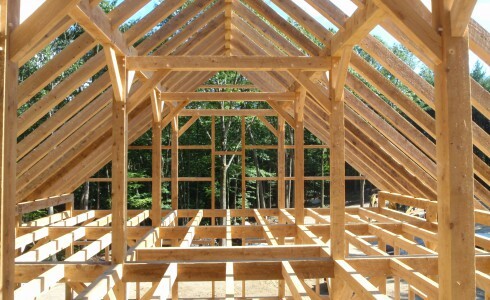 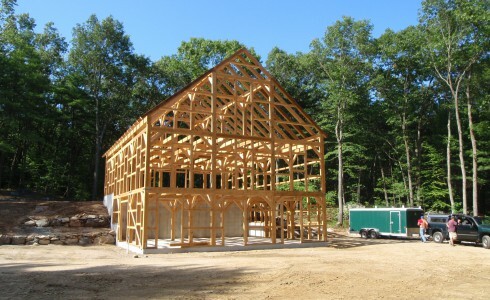 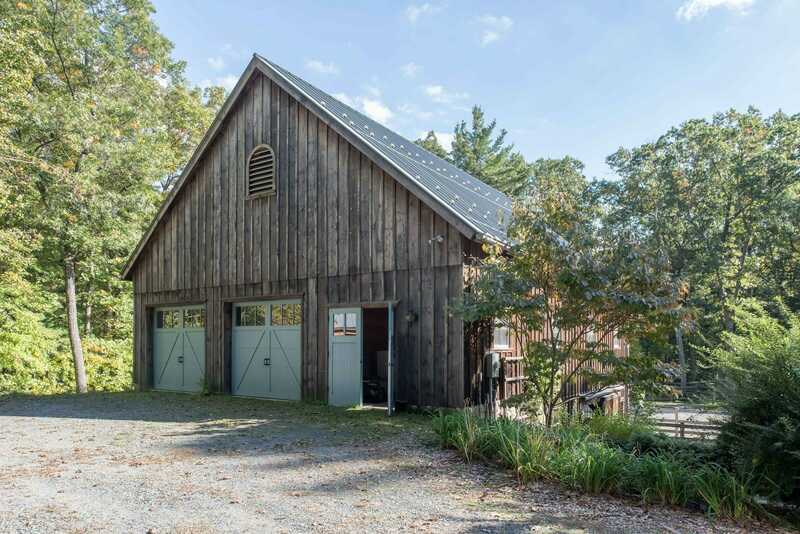 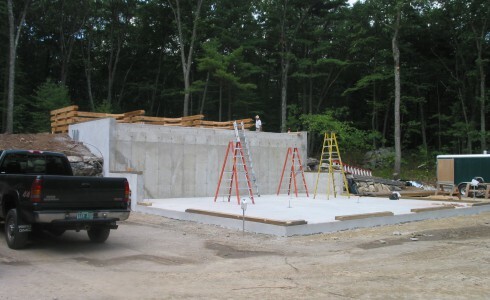 We worked with architect Alan Wiedie to design and build this 36′ x 48′ equipment barn frame in Weston, MA. 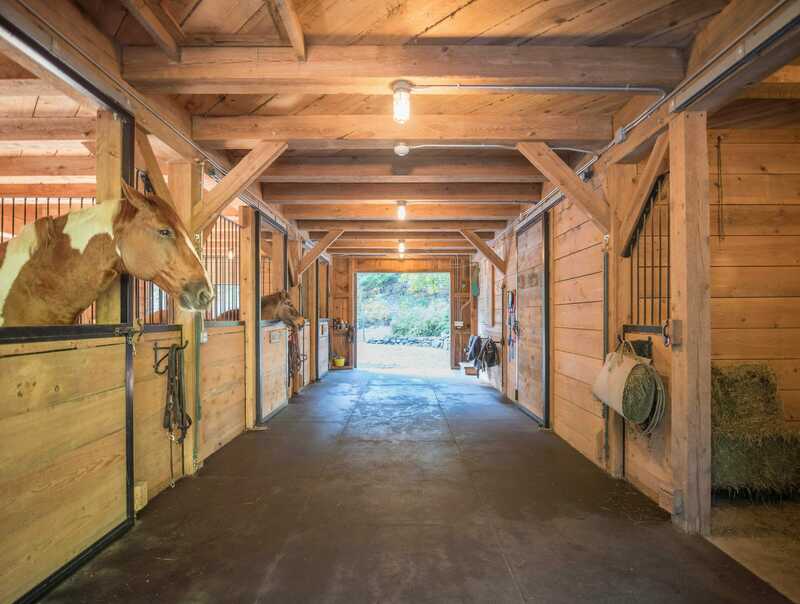 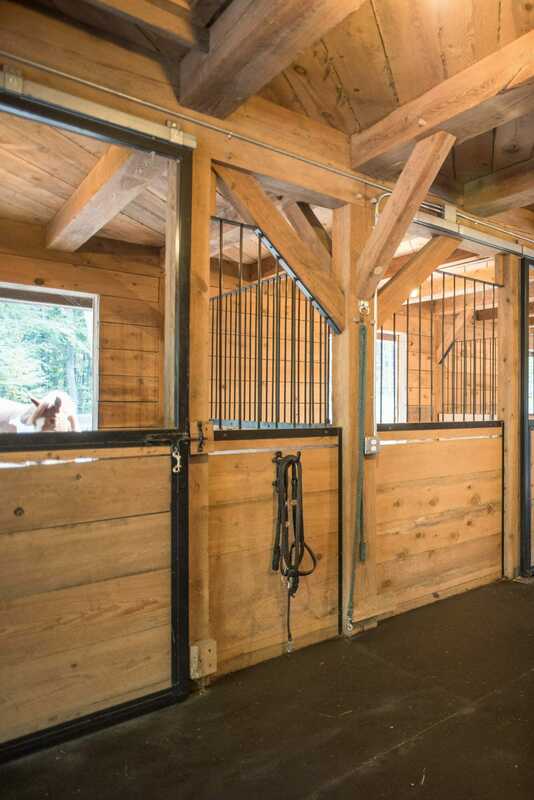 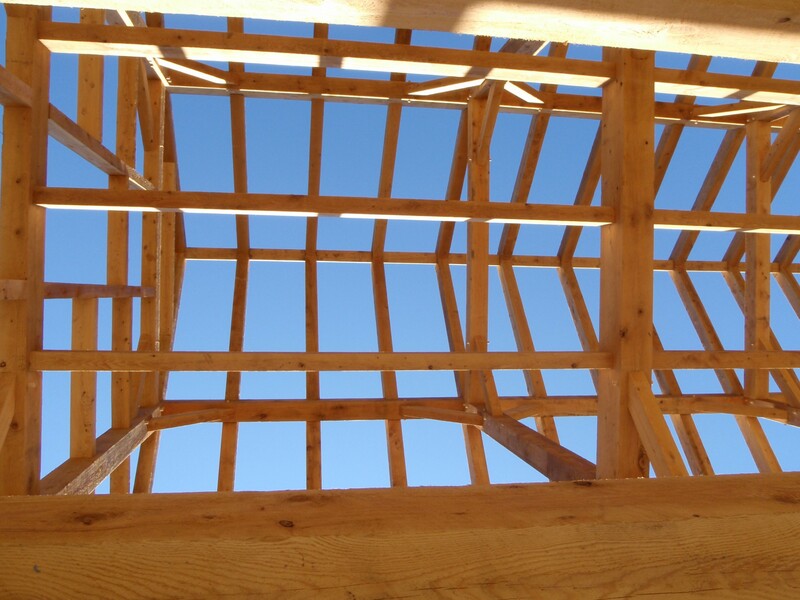 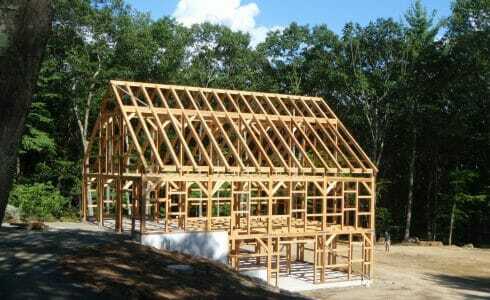 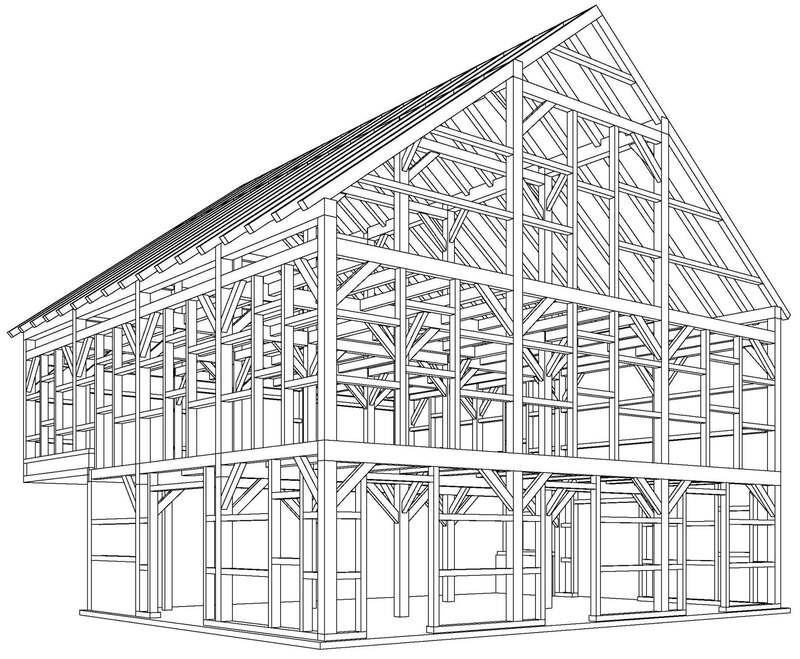 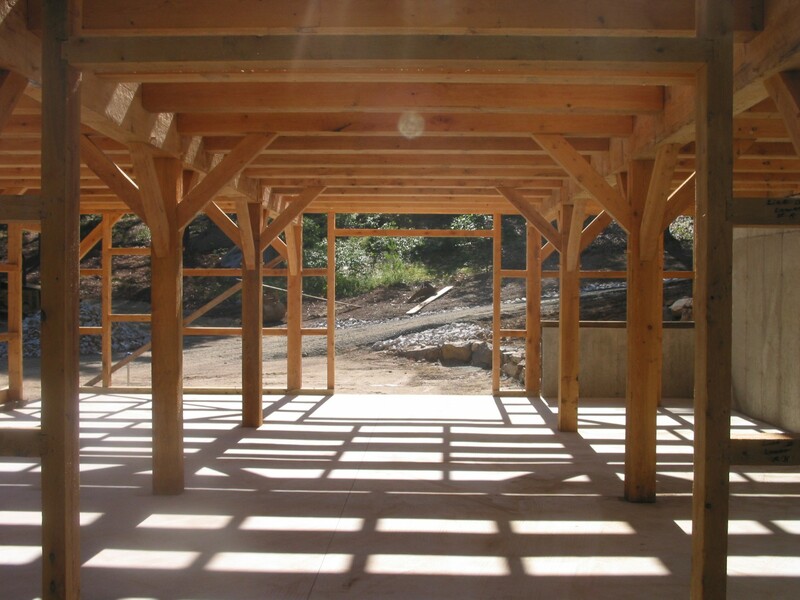 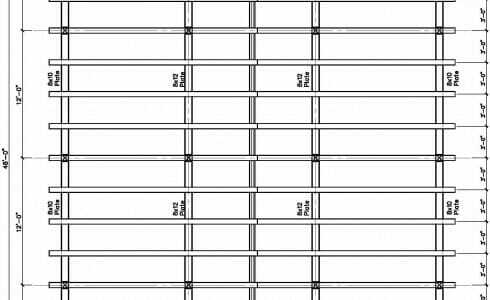 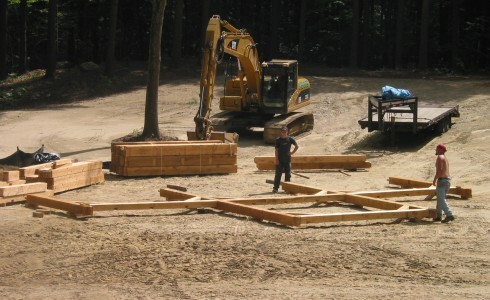 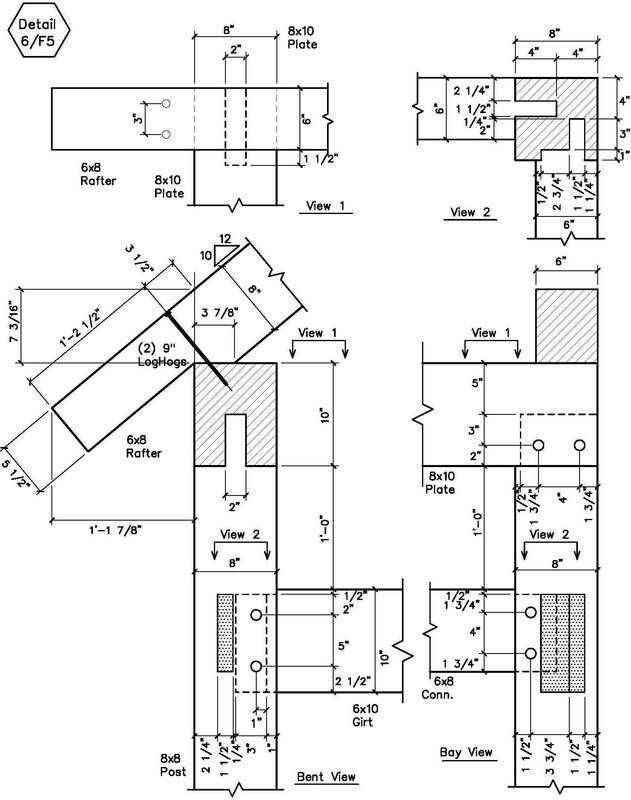 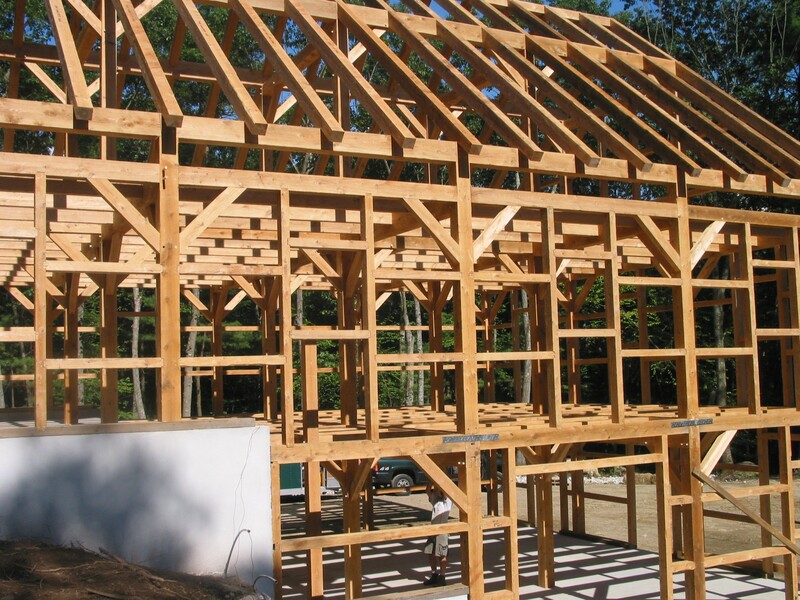 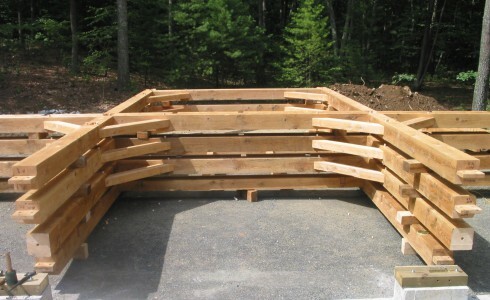 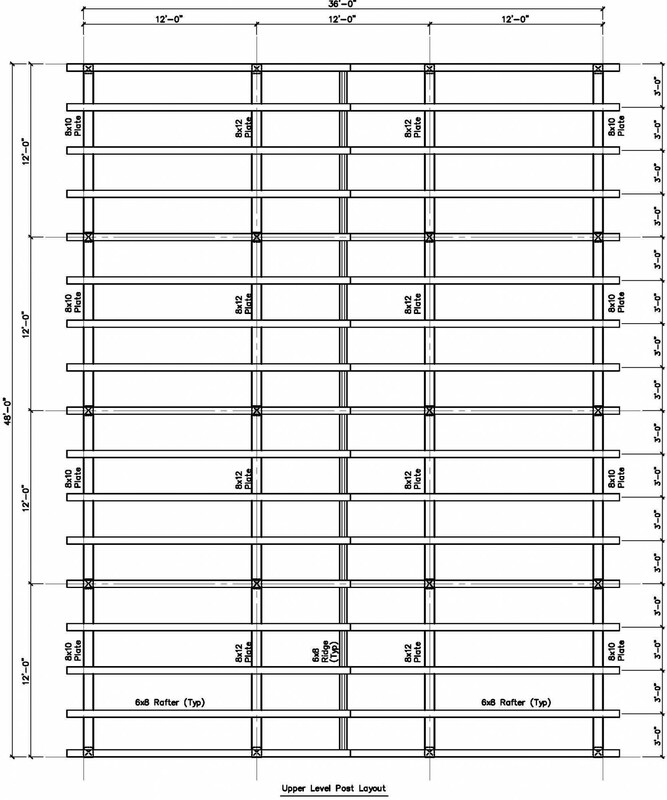 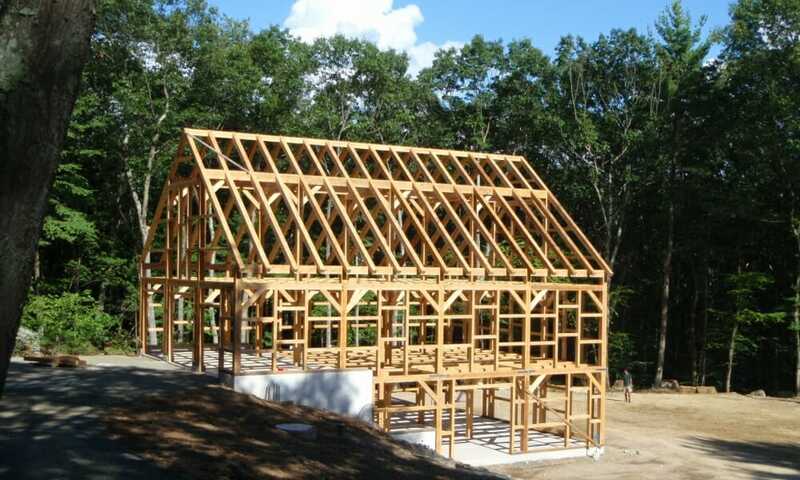 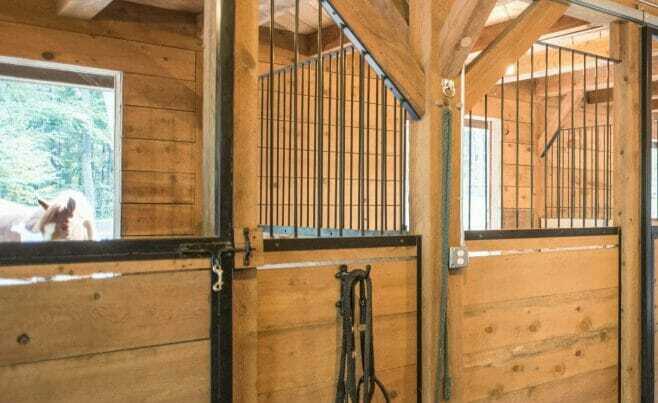 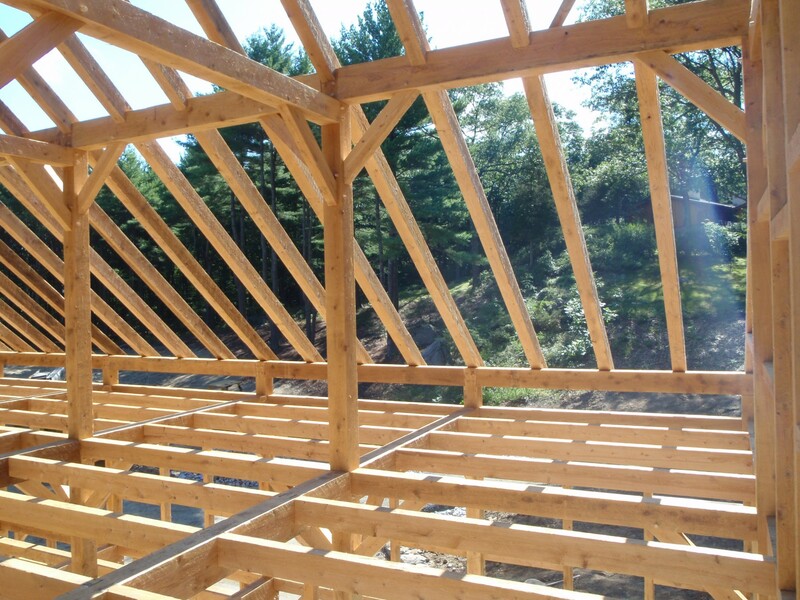 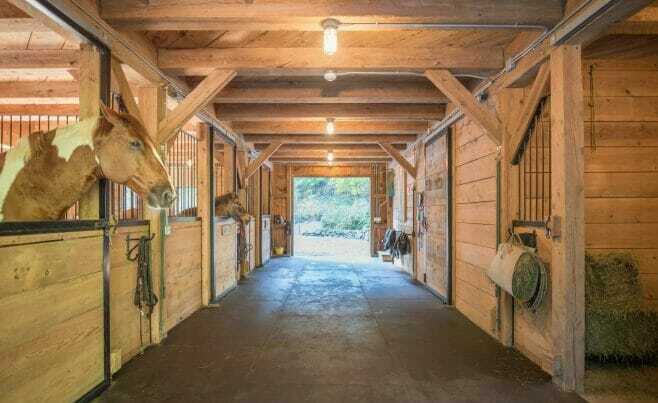 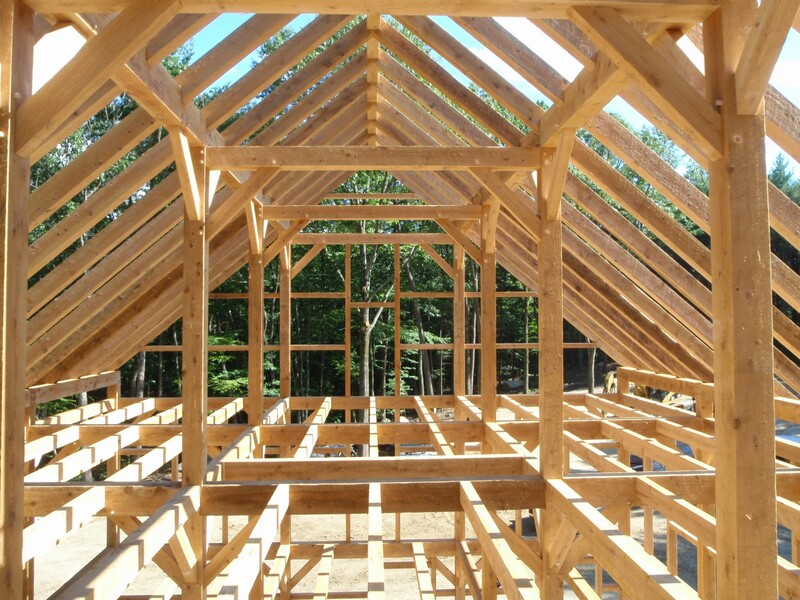 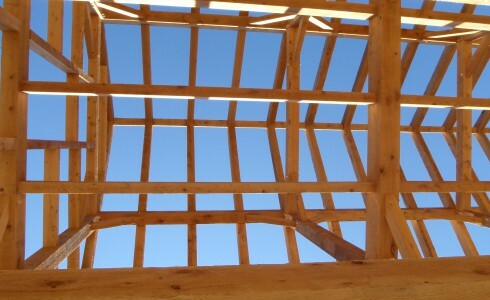 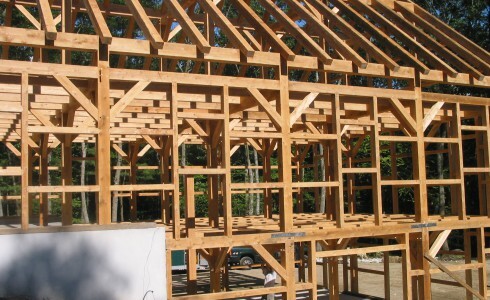 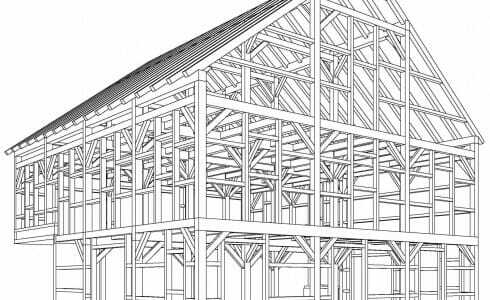 Post and beam framing is perfect for the spans needed in horse barns and stables. 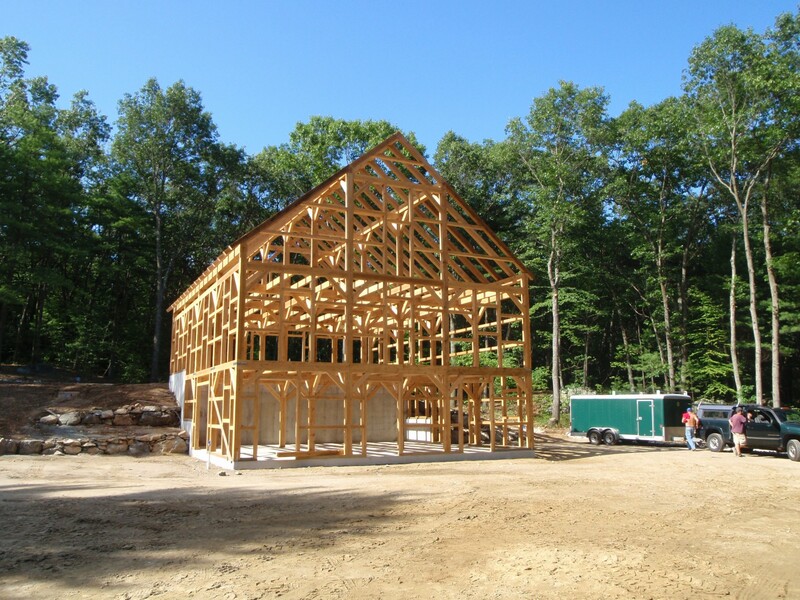 The project features rough sawn hemlock timber and a three story design. 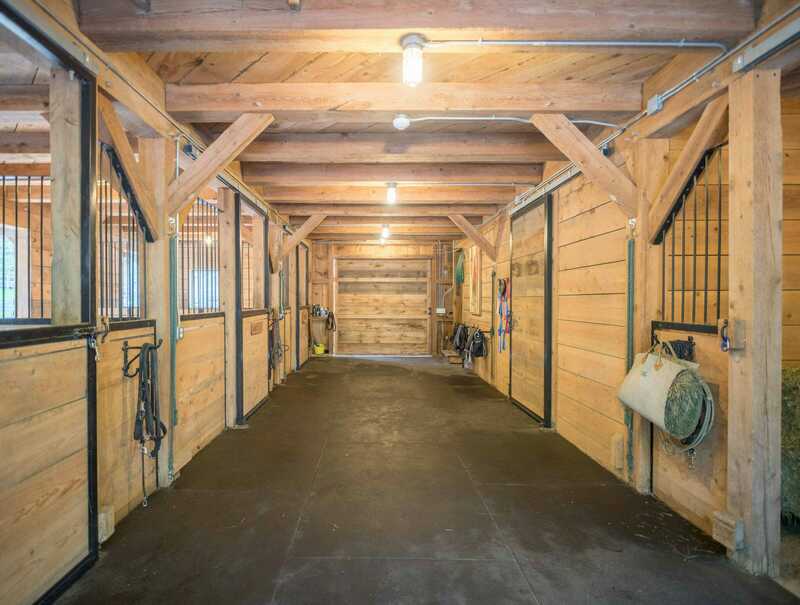 The lower level of the barn is for stalls, the upper level is for equipment and hay, and the third story is for general storage. 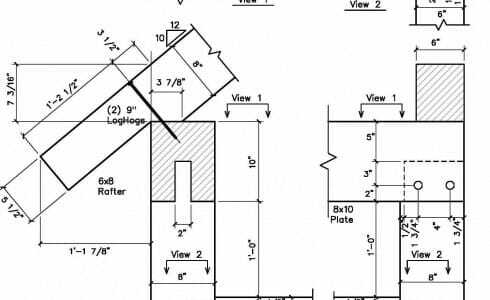 We enjoy working with our clients to make sure the details – from design to finish – are just right. 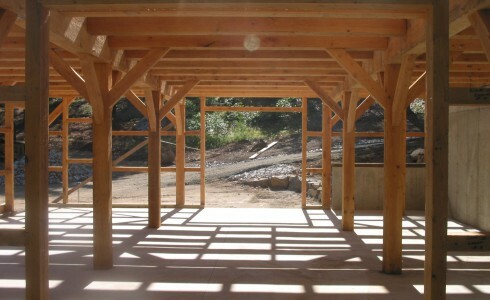 The interior of the barn shows off decisions that were made early in the timber frame process, like which species of wood to use. 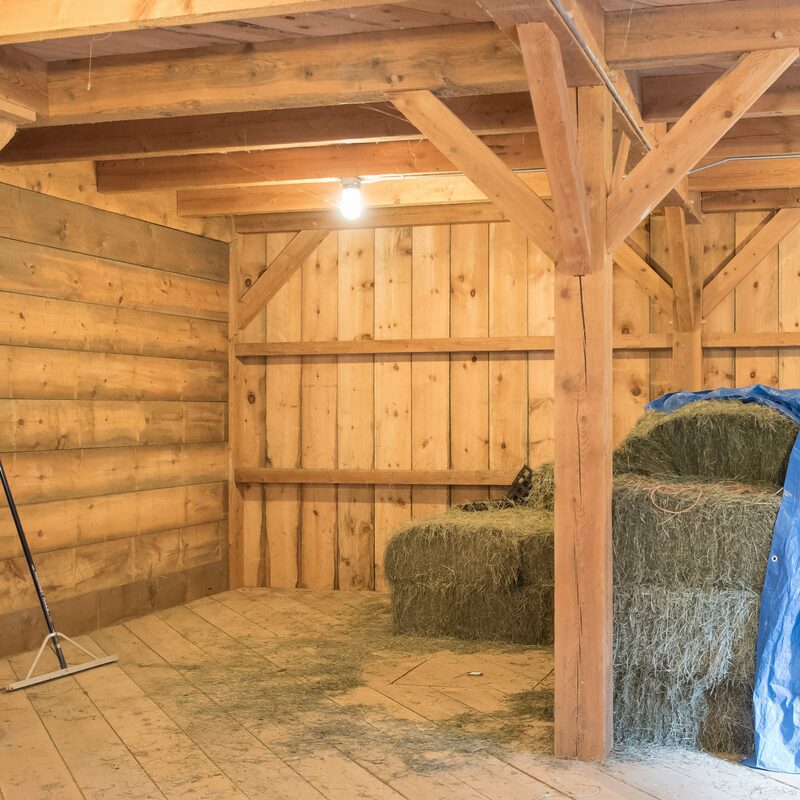 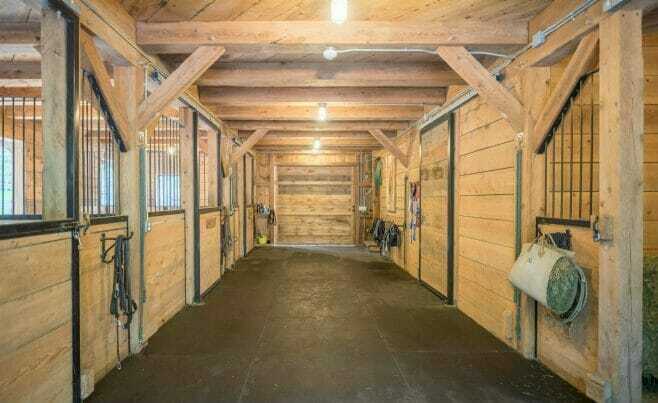 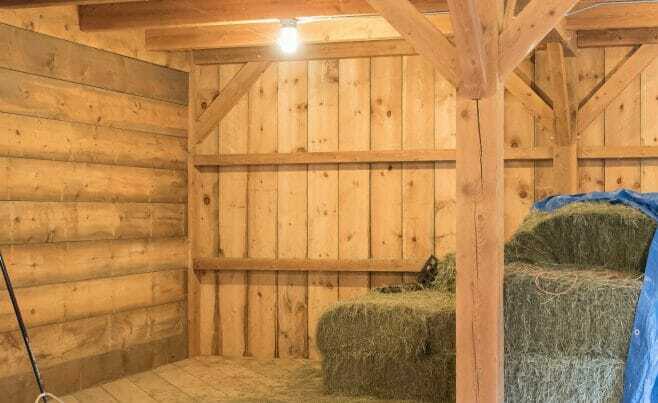 Hemlock and Douglas fir are the best wood species for barns because they are minimally prone to rotting and because the horses don’t like to crib on them (horses eat native white pine like candy).